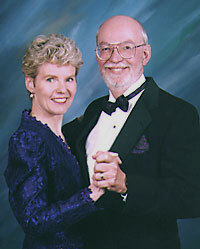 Partners on and off the ballroom dance floor, Drs. Philip and Susan Robison are licensed psychologists who specialize in marriage counseling and consulting to business couples and to professionals who work with couples. They were pioneers in living a "dual career lifestyle" before this phrase or any role models existed. With the insight and wisdom of their business partnership and combined 50 years as marriage therapists, and their 40-year marriage, the Robisons inspire their clients and audiences with an optimistic model of how ordinary people can create extraordinary marriages. The Drs. Robison both received their doctorates in psychology from Ohio University in the early 1970’s. They started separate careers in psychology, professor (Susan) and hospital psychologist (Phil). In the 1980’s faced with the challenge of a school aged child and no before/after school day care, they started part-time private practices in Howard County to be closer to their daughter’s school. Specializing in marriage counseling, they have also been sought out by many business couples who wanted help in blending their career lives with personal relationships and by dual career couples looking for coaching in the intricacies of that lifestyle choice. •	Living by Design: Blending Prosperous Work Lives with Satisfying Personal Lives.